At Governor's Direction, Increased Security at High-Profile Locations Around the State, Including Airports, Bridges, Tunnels and Mass Transit Systems. NYS Governor Andrew M. Cuomo. Albany, NY - November 1, 2017 - Governor Andrew M. Cuomo today announced that following the apparent terrorist attack in Lower Manhattan he has directed state agencies, including the New York State Police, National Guard, the Division of Homeland Security and Emergency Services, the Metropolitan Transportation Authority and the Port Authority of New York and New Jersey to increase security at high-profile locations around the state, including airports, bridges, tunnels, and mass transit systems. Additional personnel are being deployed to high-density areas and large public gatherings. These are precautionary measures, not based on any specific intelligence on ongoing threats. Governor Cuomo also directed One World Trade Center to be lit in red, white and blue in honor of freedom and democracy. 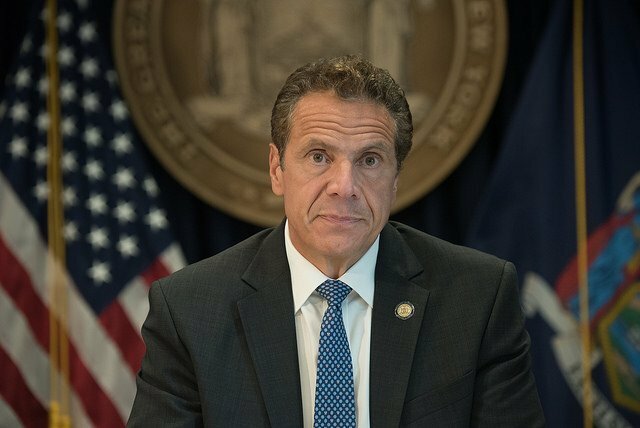 Governor Cuomo said, "I am deeply saddened by the attack on New York, and I join all New Yorkers in mourning the innocent lives we lost today. New York is an international symbol of freedom and democracy, and that makes us a target for people who oppose our way of life. I want to reassure all New Yorkers that at this point we have no evidence that today's attack is part of a wider plot involving more than one individual. Out of an abundance of caution, we are stepping up security measures at high-profile locations and large public gatherings while the investigation continues. I want to thank all of the first responders, including the New York State Police, Port Authority Police Department, NYPD, FDNY and all of the other personnel who put their lives on the line every day. I encourage all New Yorkers to go about their business and live their lives without fear." The New York State Police and the National Guard have also been in contact with federal officials as well as local law enforcement partners, including the New York City Police Department. At the Governor's direction, as a precaution, the State Police and National Guard have deployed additional resources and increased surveillance of large public gatherings and critical infrastructure including transportation hubs. DHSES has been in contact with key local public safety officials following the attack in Lower Manhattan. The DHSES Watch Center, as a precaution, has entered enhanced monitoring mode and has increased monitoring of various large public gatherings. DHSES remains in a state of readiness and prepared to disseminate information to our public safety partners statewide as necessary. Port Authority Police are on heightened alert at all of the agency's bridge, tunnel, rail, World Trade Center and other facilities. Actions include increased patrols and checks of bags, buses, trucks and trains at agency locations. Travelers are reminded to remain vigilant and report any suspicious activities to police or other authorities. The MTA has increased its patrols and surveillance in order to provide heightened protection across all its agencies. The MTA Police Department has stepped up its uniformed and plainclothes presence in Penn Station and Grand Central Terminal as well as other major stations throughout the Metro-North Railroad and Long Island Rail Road network. Police canine teams and units with heavy weapons will provide extra protection as well as a noticeable sign of increased security. Railroad customers will also see surge patrols, increased step-on/step-off patrols of trains, and random bag checks at various locations. The MTA works closely with the NYPD to secure New York's subways and buses, and MTA Bridges and Tunnels Officers are using a mix of visual and technological surveillance to ensure safety at its seven bridges and two tunnels in New York City. Subject: LongIsland.com - Your Name sent you Article details of "Governor Cuomo Announces Enhanced Security Measures Following Apparent Terrorist Attack In Lower Manhattan"